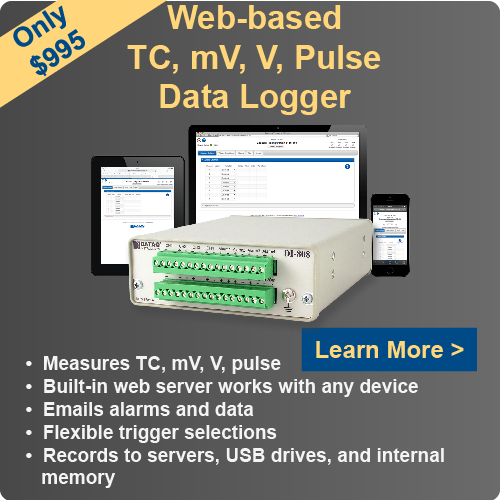 As discussed previously in one of our GL-series multimedia presentations, data acquired using Graphtec GL820 and GL900 series data loggers can be backed up to an FTP server. But what if you don’t have access to an FTP server? With the built-in server set up, you can back up GL820/900 data, directly to a folder on your local drive. 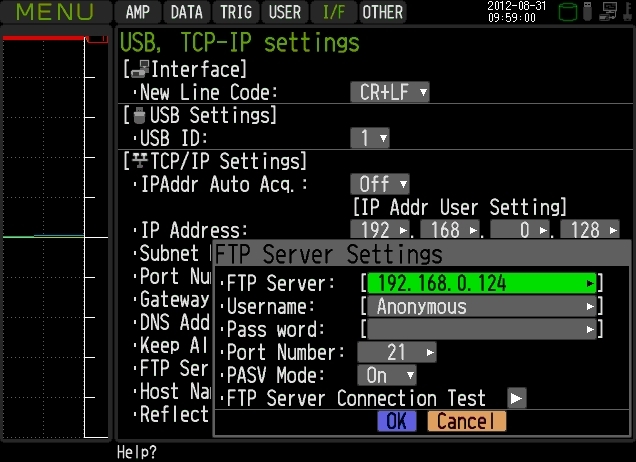 To do so, navigate to ‘FTP Server Settings’ in the ‘I/F’ tab on your GL820/900. Enter your PCs IP address, use ANONYMOUS as the username and leave the password blank (you can create your own username and password if you prefer). The default port number is 21. Once you’ve entered your FTP server settings, choose ‘FTP’ as your ‘Backup Destination’ in the ‘Data’ tab, select a backup interval (this tells the GL820/900 how often to back up data) and specify the virtual directory that will be your ‘Save Folder’ (Inetpub\ftproot is the default). With the Windows server set up as the backup destination, data files will appear in the specified folder on your local drive at the chosen interval. – In the Windows Firewall, port 21 (the default) must be made an Exception. – In the Windows Firewall, choose the ‘Advanced’ tab, check ‘Local Area Connection’ in the Local Area Connection Settings section, click the ‘Settings’ button (to the right of ‘Local Area Connection’), and make sure that ‘FTP Server’ is checked in the ‘Services’ tab, as well. 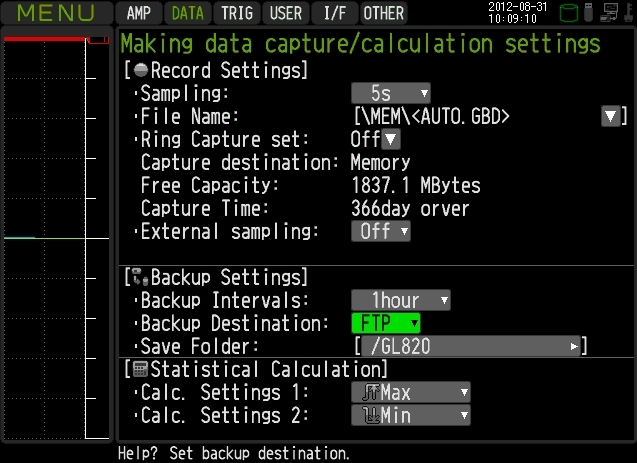 – Note that you can only back up binary data (not ASCII).